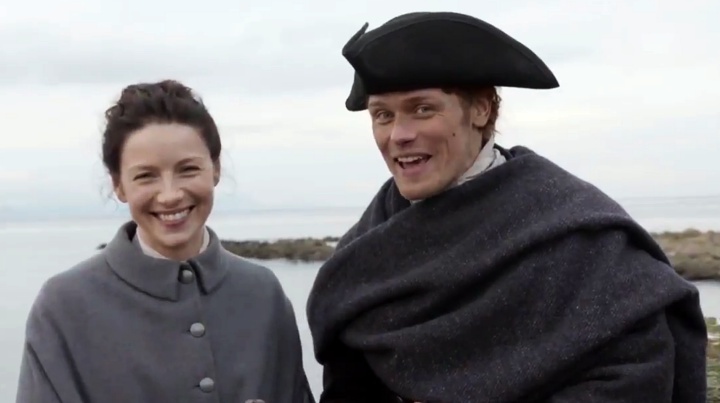 Even on a cold, dreary day, Caitriona Balfe and Sam Heughan are adorable as can be. All costumed up, they’ve finished filming Outlander‘s highly anticipated third season … in Scotland, that is. Of course, for us this means even further delay than we thought; as announced by Starz, Outlander won’t return until September. I know, I know; I’m so ashamed. 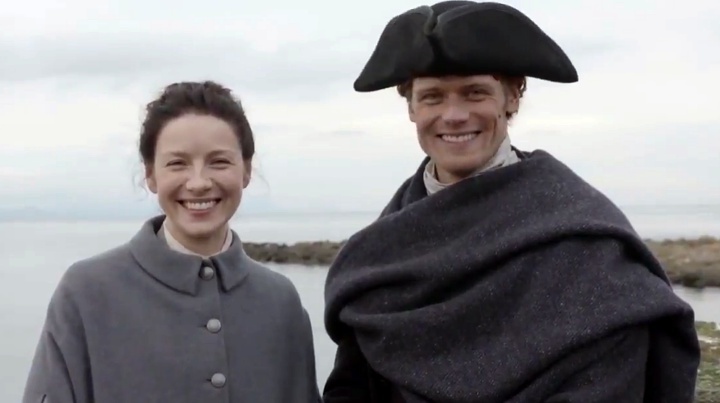 Anyhow, here’s the full announcement, and video of Caitriona and Sam saying goodbye to Scotland and thanking their host country and the Outlander crew. Outlander Season 3 adds David Berry (Lord John Grey), Wil Johnson (Joe Abernathy), John Bell (young Ian), César Domboy (adult Fergus), Gary Young (Mr. Willoughby), Charlie Hiett (Captain Thomas Leonard), and we’ve been assured we’ll see Tobias Menzies again. Outlander Preview: Just How Far Will Claire Go to Save Jamie?